So before the chilly European fall officially sets in the city, why don’t you catch the last rays of sun, and recharge your batteries with a last minute visit at the Yria Pavilions & Villas in Paros? 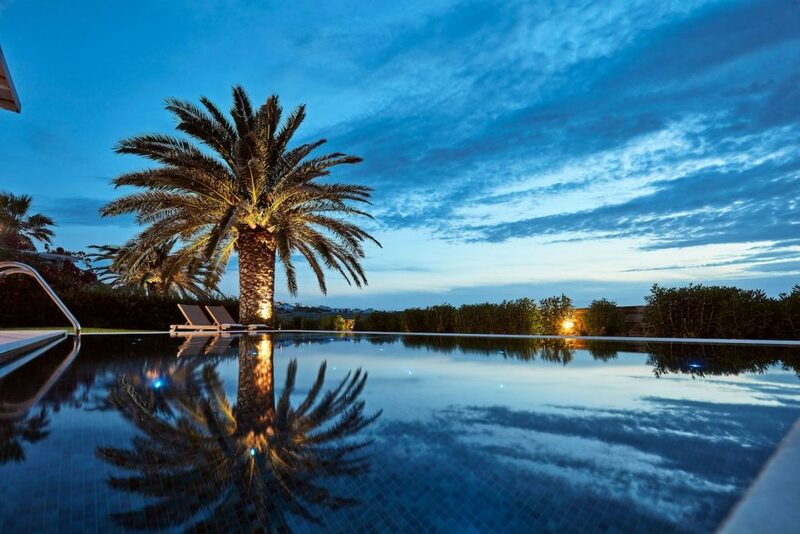 Located at the heart of the beautiful Parasporos bay, amongst an oasis of vineyards, trees and wildlife, Yria offers luxurious accommodation for different party sizes and compositions in its collection of Pavilions and Villas in Paros. Βlending Cycladic chic with the latest amenities and a vast array of tailor made services, Yria’s options are vast and varied to cater for individual preferences and needs: Yet, from the superior, romantic double rooms, elegant junior suites, two storey family maisonettes, luxurious executive suites, and beautifully appointed suites with their own private infinity pool, to the spacious home away from home, residence suite, or the expansive, gorgeous Yria Ktima, Yria’s Pavilions and Villas in Paros, have one thing in common: They are designed with the discerning traveller in mind, to offer the utmost in indulgent living. 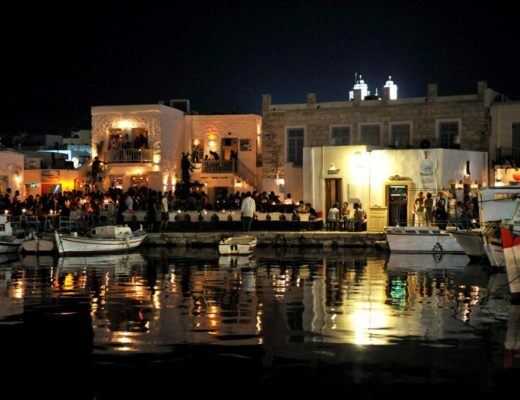 And indulge you certainly will, should you visit Paros in the fall. 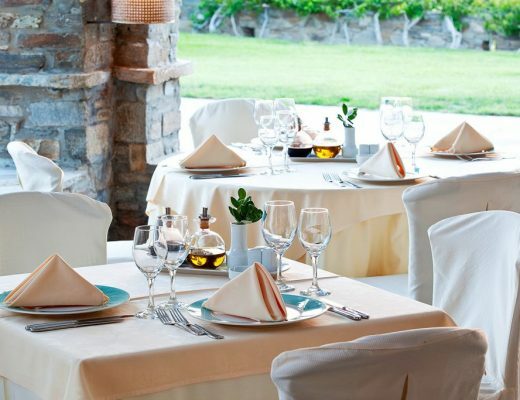 At the Yria Pavilions and Villas in Paros we have amassed a team of local experts who’ll provide you with invaluable insider’s tips on how to make the most out of your fall visit. One idea is to discover- and bask in- the island’s stunning beauty by walking along age old routes that will travel you through time. 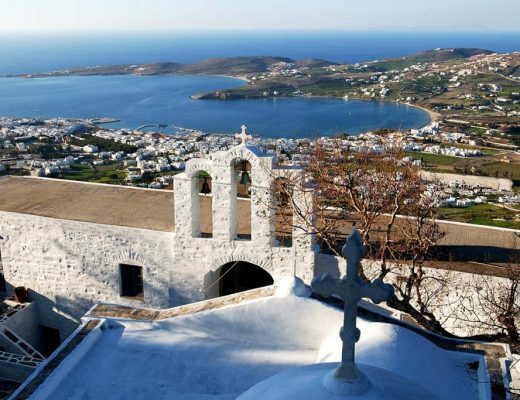 Options include the Byzantine Lefkes -Prodromos trail or the cobblestone path from Marpissa to the Venetian town of Kéfalos and Ágios Antónios Monastery. For a somewhat different, equally steeped in long lived tradition, distinctly Dionysian experience, don’t miss the seasonal festivities in honor of the strong local (more than 40 proof!) “souma”. Celebrations taking place throughout the island involve copious amounts of the fiery (yet smooth tasting) spirit, coupled with delectable local delicacies such as Parian mushrooms or pork. It all begins after the annual grape harvest in mid October, continues throughout November; and culminates in the feast of Agios Georgios Methistis when the new wine of the year is uncorked for the first time. Parians have a zest for life; you’ll discover. Which is as invigorating as it is catching. Get immersed into the effervescent festivities; and you’ll remember it forever. This is though merely a sample of the autumn delights that await in this blessed island. Base yourselves at Yria’s Pavilions or Villas in Paros; bask in their glorious hospitality and enjoy the time of your lives!